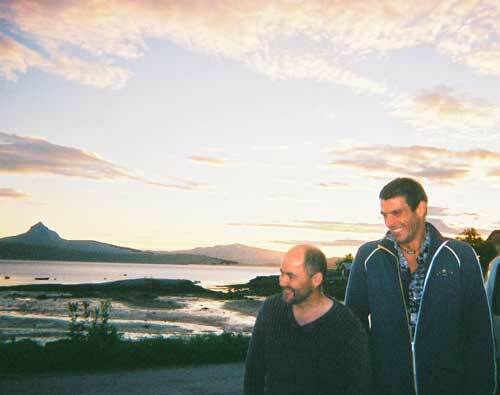 Slim Pickens & Doctor Baz toured Norway for a second time in 2005. 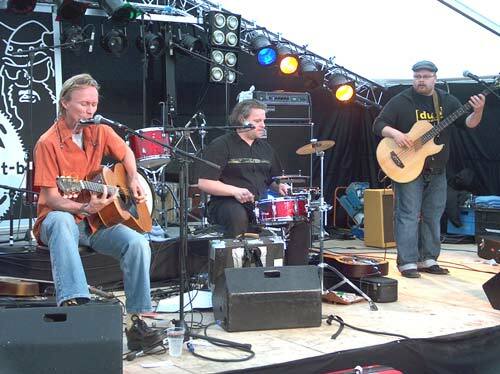 They feel priveleged to have beeen invited to perform at the Sement Blues Festival, held bi-annually at the tiny picturesque village of Kjopsvik, in the far north of Norway. 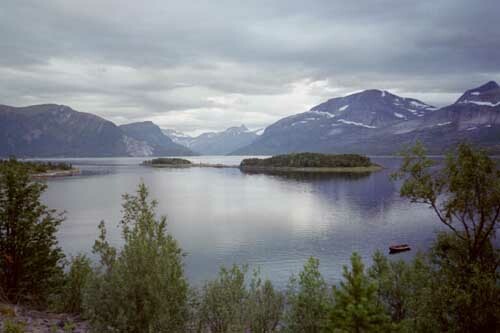 Kjopsvik clings to the edge of a huge majestic fjord and is the site of a major cement manufacturing industry which dominates the town and employs most of it's residents. Explosions from blasting for raw materials in the nearby mountains regular rock the town and rattle the windows. 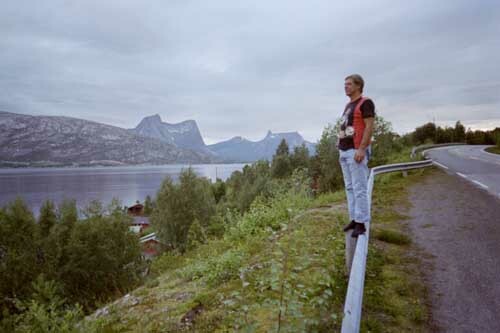 Our friend Freddie moved to Kjopsvik, after falling in love with his beautiful wife Liv who is the local nurse. Freddie now works in the Cement Factory too, ands he is blues fanatic with probably one of the biggest collection of blues CDs and DVDs in Norway. 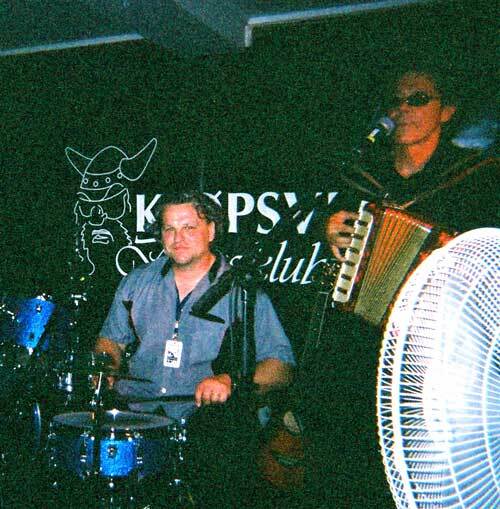 So he eventually decided to bring the blues to Kjopsvik and started the Sement Blues Festival. He later teamed up with Remi Johanssen to form Arctic Music and create a circuit for musicians to help make it possible for musicians to travel to that remote part of the world. 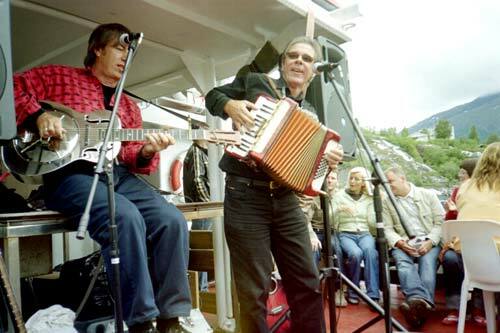 Slim & Baz out on the fjord, performing for the 'Blues Cruise' a feature of the Sement Blues Festival. Freddie and Remi of Arctic Music - organizers of the Sjyrock Music Festival and the Sement Blues Festival - hosting a barbeque for us musicians under the midnight sun. Finnish blues artist Micke sits in with Slim & Baz at their gig at Walters Kro, a bar in Kjopsvik. 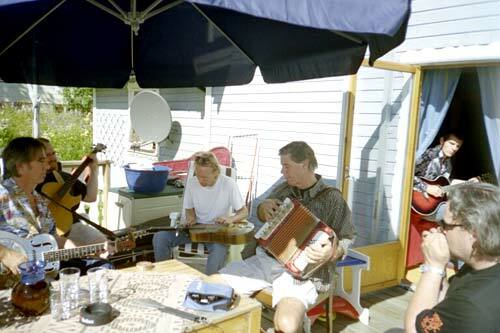 Jammin' with Micke & Leftie on the back verandah at Freddie's place. Leftie & Mickey from Finland in full flight at Sement Blues.